Sometimes called ‘Ecological Modernism’. 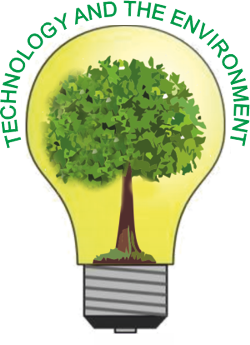 It is a movement that believes that ‘technology’ can be used to solve the worlds environmental problems. Technology is seen as ‘good’ in the fight against pollution and other major environmental issues, even though technology may have caused most of the problems, in the first place. ‘Environmentalists’ argue that we should use less technology, relying on nature and the natural world to repair itself. 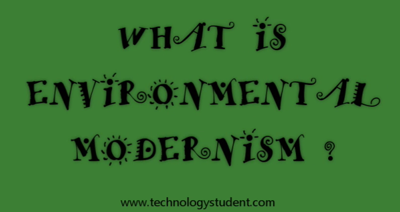 ‘Environmental modernists’ believe that technology can offer a helping hand. EXAMPLE ONE: Environmentalists say that we should change from diesel and petrol cars to electric cars / cycling or public transport, because they cause pollution. Environmental modernists say, keep the diesel / petrol car, but fit a modern catalytic converter (exhaust) system to reduce the pollution. EXAMPLE TWO: Environmentalists say we should reduce our consumption of energy and switch to alternative energy (wind power, solar power, tidal power). Modernists say the same, but include nuclear power and there is no need to reduce our consumption.